Verinag is a town and a notified area committee in Anantnag district in the state of Jammu & Kashmir, India.It is about 26 kilometers away from Anantnag and approximately 78 kilometeres south-east from Srinagar which is the summer capital of the state of Jammu & Kashmir. Verinag is also the first tourist spot of Kashmir Valley when travelling by road from Jammu, the winter capital of the state of Jammu and Kashmir towards Srinagar, the summer capital of the state of Jammu and Kashmir. It lies at the entry point of Kashmir Valley right after crossing Jawahar Tunnel. A major tourist attraction of this place is Verinag Spring, for which this place is named. There is an octagonal stone basin at Verinag Spring and an arcade surrounding it which were built by Mughal emperor Jahangir in 1620 A.D. Later, a beautiful garden next to this spring, was laid out by his son Shah Jahan. This spring is known to never dry up or overflow. 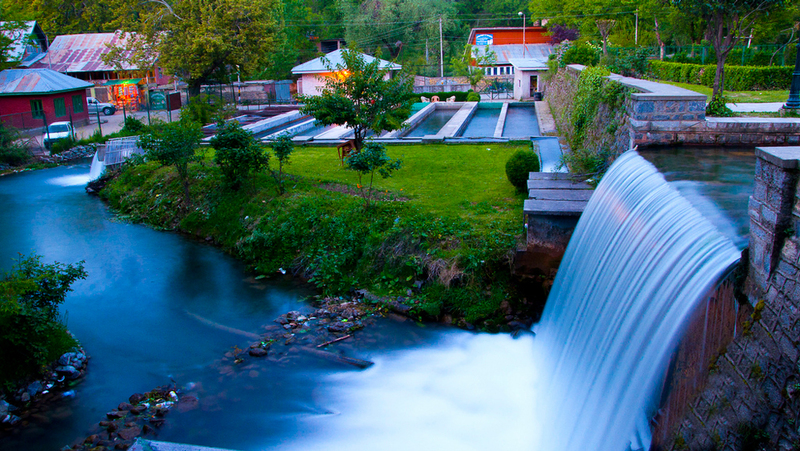 Verinag Spring is also the major source of river Jhelum. Verinag Spring and Mughal Arcade surrounding it is officially recognized by Archaeological Survey of India as a Monument of National Importance.